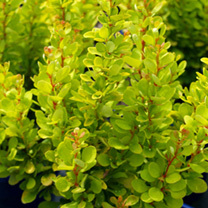 Berberis thunbergii 'Golden Rocket' is a prickly, narrow, upright, low, deciduous shrub with outstanding bright yellow foliage, pale yellow inconspicuous flowers in spring and bright red berries in autumn. Ingestion of these berries may cause mild stomach upset. It is tolerant of most soils and aspects but performs best in full sun and well drained soils. Height 100-150cm. Supplied in a 7.5-10 litre pot. 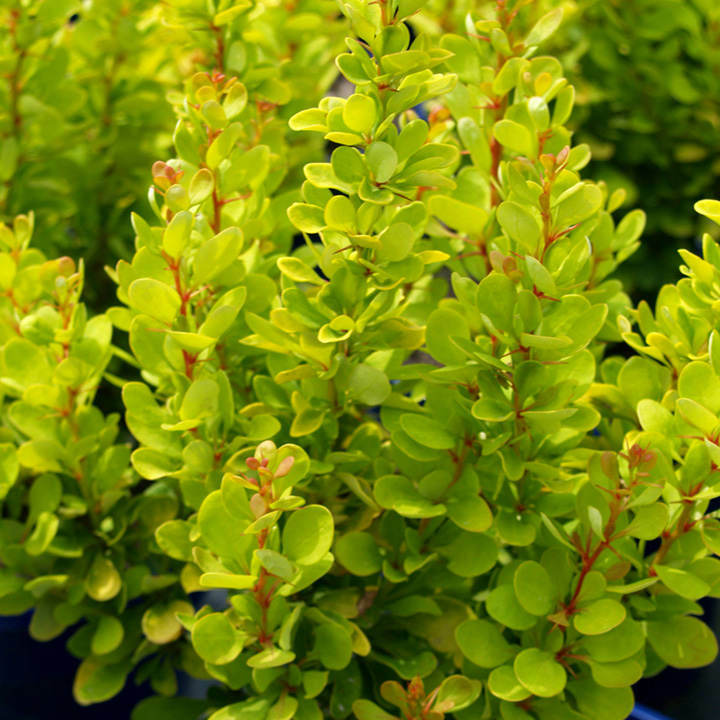 Berberis thunbergii 'Golden Rocket' is a prickly, narrow, upright, low, deciduous shrub with outstanding bright yellow foliage, pale yellow inconspicuous flowers in spring and bright red berries in autumn. Ingestion of these berries may cause mild stomach upset. It is tolerant of most soils and aspects but performs best in full sun and well drained soils. Height 100-150cm. Supplied in a 3 litre pot or 7.5-10 litre pot.